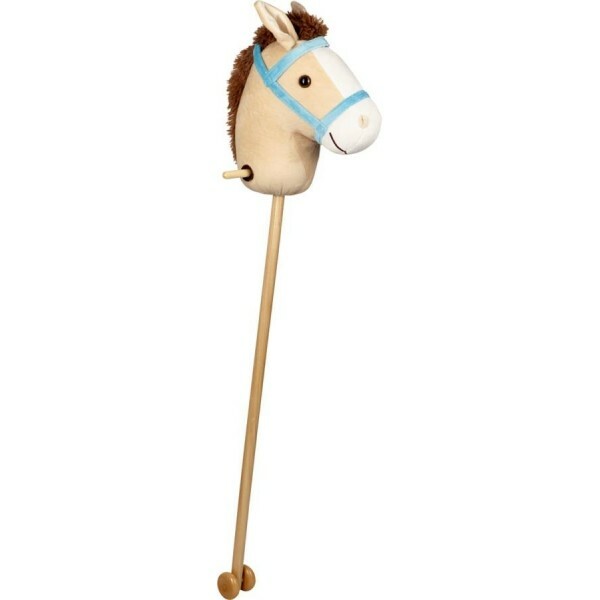 This wonderful hobby horse is made with real quality and substance. With wooden handles and wooden wheels at the bottom, it also has a sound module in the ear, so your little one's new found friend can make whinnying noises and hoofbeat sounds at the press of a button! It's the best hobby horse we've ever found - it's made with real style and to the highest standards of quality. The sound element is brilliant, and makes the imaginative play even more fun. The horse's head is large and cute enough to have real presence, so It will look great leaning against the wall in any bedroom or playroom.